As an investigative journalism student, I helped uncover proof that should have cleared Anthony McKinney’s name. Instead, he died in prison. I vividly recall the photo: Anthony Porter, who came within forty-eight hours of execution after seventeen years behind bars, exits the Cook County Correctional Facility in Illinois in February 1999, a free man. He sees Northwestern University journalism professor David Protess, who, along with his students, uncovered new evidence of Porter’s innocence, and gives him a massive bear hug, lifting him off the ground. It’s an incredibly powerful image, proof of how journalism can right terrible wrongs. After starting the Innocence Project at the Medill School of Journalism in 1999, Protess and his students freed twelve wrongfully convicted prisoners, including five from death row. Their work helped lead to a moratorium on the death penalty in Illinois, followed by Governor George Ryan’s historic emptying of the state’s death row. In 2011, Illinois abolished the death penalty altogether. I took Protess’s class as a senior at Northwestern in the spring of 2004, five years after Porter was freed. We investigated the 1978 murder of a white security guard, Donald Lundahl, on the South Side of Chicago—a city described on 60 Minutes as “the false-confession capital of the United States,” thanks largely to the systematic torture of criminal suspects under former Police Commander Jon Burge. During interrogation, Anthony McKinney, an 18-year-old African-American with no criminal record, had told police he was the killer—a confession he insisted was forced out of him after he was beaten with a pipe by a detective with a history of brutality. Nonetheless, he was found guilty and sentenced to life. From 2003 to 2006, nine teams of student journalists, myself included, uncovered startling new evidence proving McKinney’s innocence. The prosecution’s two main witnesses, 15 and 18 at the time of the trial, recanted their testimony, claiming they had been beaten by police; TV logs proved that both witnesses had been watching the Muhammad Ali–Leon Spinks fight at the time of the murder and could not have been at the scene. Meanwhile, an ex–gang member named Anthony Drake confessed on tape to being there and said McKinney was not involved; current and former residents of the neighborhood confirmed that they heard Drake and two other suspects confess to Lundahl’s murder. “We convicted an innocent man,” the foreman of the jury told Protess. As students, we visited McKinney at Dixon Correctional Center in northern Illinois, where he had battled severe depression. We told him the new evidence would set him free. We made the same vow to his brother, Michael, when he attended our graduation. We made plans to reunite for McKinney’s release. He would be our Anthony Porter. Instead, on August 27, I received an e-mail from an old Northwestern colleague informing me that McKinney had died that day of an apparent heart attack, after thirty-five years in prison for a murder I’m certain he didn’t commit. There is no reason McKinney should have died in prison. In 2008, the Center on Wrongful Convictions filed a post-conviction petition on his behalf, calling for a new trial or his immediate release. At the same time, the Chicago Sun-Times published a front-page story on his plight. But the election of a new Cook County state’s attorney later that year stopped the case in its tracks. Anita Alvarez, a hard-line career prosecutor, issued a sweeping, unprecedented subpoena ordering Protess to hand over all material related to the McKinney case—including students’ private memos and grades. Alvarez claimed that we were “investigators,” not journalists, and thus not protected by the Illinois shield law. Her office ludicrously suggested we paid sources for confessions, flirted with witnesses and received better grades for uncovering exculpatory evidence, all of which was untrue. Alvarez’s smear campaign against the Medill Innocence Project succeeded. In 2011, Judge Diane Cannon, a former career prosecutor, approved the state’s subpoena. The public focus became Alvarez versus Protess, while McKinney remained imprisoned and ignored. Northwestern initially defended us, but ultimately folded under pressure. Protess lost his job at Northwestern, and McKinney died on a cold prison floor, never having received the evidentiary hearing he so desperately deserved. 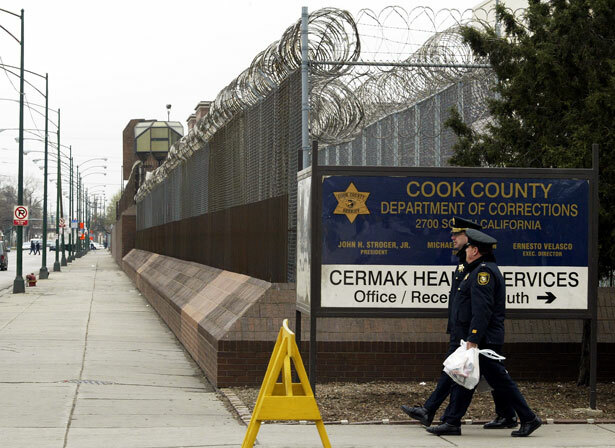 “Anita Alvarez has my brother’s blood on her hands,” Michael McKinney recently told Protess. A few weeks after McKinney died, Mayor Rahm Emanuel apologized for the decades of police torture, calling it “a dark chapter on the history of the City of Chicago.” The apology followed a $12.3 million settlement with two men, former death row prisoner Ronald Kitchen, who gave a false confession, and his co-defendant, Marvin Reeves. The city has now paid some $80 million in such settlements. Kitchen and Reeves are the exceptions. At least 2,300 people in the United States have been exonerated based on wrongful convictions for serious crimes since 1989, including more than 100 sentenced to death, according to the National Registry of Exonerations, a joint project of the University of Michigan Law School and the Center on Wrongful Convictions. But a far larger number of innocent prisoners remain locked up. Research by Michigan law professor Samuel Gross, the editor of the registry, suggests that the rate of false convictions for violent felonies ranges from 1 to 5 percent. With nearly 2.2 million Americans behind bars, that’s anywhere from 22,000 to 110,000 innocent prisoners. The legal system is stacked against wrongful convictions claims. “The innocence movement has become a victim of its own success,” says Protess. “There are so many credible claims of innocence that are now being brought to court that weren’t before, and there’s no proper legal mechanism in place to hear them. So what prosecutors will often do is stall, because they can, and run out the clock.” Under the Speedy Trial Act of 1974, an indictment must be filed within thirty days of an arrest and a trial held seventy days after that. There’s no such standard for wrongful conviction cases. Protess says we need a Speedy Post-Conviction Act and for claims to be reviewed by merit-appointed magistrates, not conflicted prosecutors who fear civil rights lawsuits or are unable to admit grievous mistakes. For prisoners like McKinney, justice delayed is justice denied. There’s also a stunning lack of accountability for those who send innocent people to prison and then refuse to let them out. In the 2011 decision Connick v. Thompson, the Supreme Court rescinded a $14 million settlement awarded to John Thompson, who spent eighteen years in jail, including fourteen on death row, for a murder in New Orleans he did not commit. Prosecutors had withheld evidence that showed Thompson’s innocence. But the Court held that the New Orleans DA wasn’t liable. In cities like New Orleans and Chicago, which both have well-documented histories of police brutality, this culture of impunity is pervasive. In 2011, Ari Berman wrote about the removal of Protess from the Medill School of Journalism.